2 Can Food Diet Improve Noise In Ears? 2.1 Which Food Aggravates Noise In Ears? Tinnitus is a condition defined by chronic ringing of the ears. There are numerous causes for the condition, ranging from allergies and infections to physical defects of the ear. Depending on the cause, dietary changes may reduce or completely eliminate tinnitus symptoms for the sufferer. Salt plays a strong role in intensifying the symptoms of tinnitus. Salt increases blood pressure and reduces the flow of blood to the ears and brain. While all people need a small amount of salt in their diet, it occurs naturally in many foods. Avoiding foods with added salt and eliminating foods high in natural salts can help mitigate the symptoms of tinnitus in many people. Studies have shown that those with tinnitus also benefit from avoiding refined sugars and simple carbohydrates. 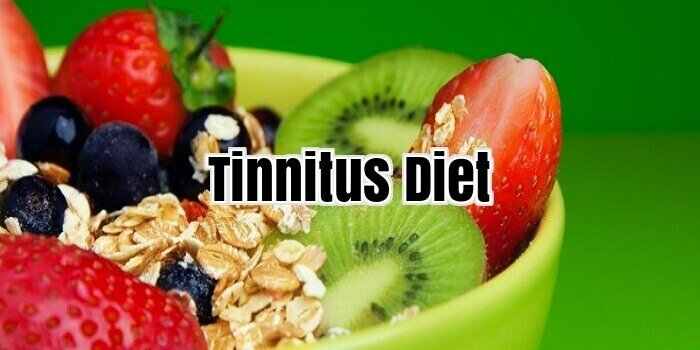 Diets designed for those with diabetes seem to have a positive effect on tinnitus symptom elimination. Monosodium Glutamate (MSG) is a flavour enhancer commonly used in packaged and restaurant food. When ingested, MSG breaks down to glutamate — a neurotransmitter which triggers neurons to rapidly fire. Avoiding the additive has proven helpful to many in reducing tinnitus symptoms; however no studies are currently on record regarding its precise role in the condition. Aspartame is indicated as a potentially aggravating additive as well due to its role as an excitatory neurotransmitter. Saturated fats are harmful for many reasons. Those with tinnitus need to have a healthy flow of blood to the inner ear, the build-up of harmful fats in artery walls can reduce blood flow significantly and worsen symptoms. It is not recommended to eliminate all fats from the diet, however. Unsaturated fats from nuts, fish and vegetables are necessary for heart and brain health. The omega-3 fatty acids in fish and certain plant oils help reduce inflammation and can help to alleviate tinnitus symptoms. 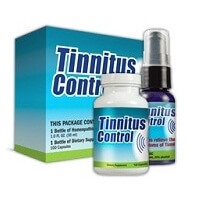 There are few known long-term solutions for tinnitus. After allergies and medications are ruled out as causes there are few treatments that are effective. Dietary changes can help to reduce or completely eliminate the symptoms of tinnitus in many people. Can Food Diet Improve Noise In Ears? Is it possible to control the volume of the awful noise in ears (inner ear tinnitus) simply by modifying our food choices? Well, apparently so! There are many testimonials of chronic tinnitus sufferers who claim they were able to reduce the intensity of ringing in left ear simply by avoiding certain types of food and choosing others. Which Food Aggravates Noise In Ears? If you’re working out a suitable tinnitus diet sheet, there are a few facts to keep in mind. In general, fatty products of animal origin, which are often high in cholesterol too, are the type of food you want to get rid of in your kitchen. Replace animal fat with vegetable oil, such as olive oil, rapeseed oil or sunflower oil. Next, eliminate certain types of food from your diet which seem to trigger the noise in ears, such as wheat products, yellow vegetables, pork, red wine, and citrus fruits. Avoiding cold meals like cold salads, iced water, raw vegetables and greens might also bring you some relief. Quinine in tonic water has a well-documented history of causing tinnitus as well. There are mixed views on milk products, so you’ll have to discover by trial and error what works for you. The same applies for salt. When taken mainly in the form of salty nuts – avoid fatty, salty snacks like chips! – Some people report an improvement, others claim the opposite. Finally, try avoiding toxic substances, such as caffeine products, tobacco and alcohol, as they tend to have a negative effect on the noise in ears. Start your new tinnitus diet plan by introducing a high-protein diet of beef and beans (e.g. soybeans), broccoli and other vegetables, like cauliflower, spinach, carrots, radishes, Brussels sprouts, garlic, cabbage, asparagus, potatoes, and eggplant (aubergine). Introduce foods high in vitamin A, vitamin B-12 and zinc to your tinnitus food diet (more about vitamins and supplements here). Select fruit rich in vitamins and zinc/selenium, such as bananas, figs, apples, plums, coconut, and raspberries. Choose low-fat, low-cholesterol, and high-protein meat, such as chicken, turkey, mackerel, tuna, and salmon. For a detailed nutrition plan tailor-made for people suffering from noise in ears, take a look at the successful 5-step holistic system, developed by former severe tinnitus sufferer. This program contains plenty of relevant, high-quality information about proper tinnitus food diet, and it’s considered one of the bestselling books about tinnitus and holistic health on the market. According to Ayurveda, ringing in left ear (often in combination with other symptoms, such as vertigo, anxiety, insomnia, lack of concentration, sensitivity to cold, impatient and restless mind etc.) is a result of something called unbalanced vata dosha – one of three main governing principles in Ayurveda. Ayurveda is based on a balanced treatment of these doshas, providing relief to people suffering from a number of chronic medical conditions by creating a tailor-made balanced diet plan. Ayurveda should be used along with exercise and lifestyle changes. Now, you may or may not believe in alternative remedies in general, and whichever way you feel is OK. However, it’s wise to realize that if conventional therapy can’t help you, it makes sense to have a closer look at other, less known treatment options. Why? Because in recent year’s modern medicine has come up with scientific research studies, finding coherence between certain medical conditions, like inner ear tinnitus, thyroid dysfunction and stress, which is something Ayurveda has known for thousands of years. If you’re generally open to alternative remedies or Ayurvedic in particular, here are a few suggestions for balancing vata dosha, which may provide you with a good support for your current therapy for ringing in left ear. Eat warm food, moderately heavy textures, added butter and fat. Prefer salty, sour, and sweet tastes to bitter tastes. Vata is a cold dry dosha, therefore warm, nourishing foods are good for stabilizing it, such as warm low-fat milk, cream, butter, warm soups, stews, hot cereals, fresh baked bread. Have a good nourishing breakfast – very important (hot cereals, cream of rice or wheat, warm oatmeal etc.). Use warming spices, such as cinnamon, cardamom, cumin, ginger, cloves in moderation. You have a considerably higher chance of success for curing your noise in ears if you focus on one form of treatment, backed up by a change of habits in terms of diet or your general attitude to life. Adopt this approach and you may very likely get huge relief from the tormenting noise in ears. Can a diet for pulsatile tinnitus really be the missing link in your quest for regaining your hearing? The answer is yes. How will you feel when the ringing in your ears is gone for good? Of course, you know that a well balanced diet is one of the keys to achieving overall good health, but if you are a tinnitus sufferer then it may be even more important than you know. Your diet absolutely is having an effect on how much you are suffering, and furthermore, how badly you will suffer in the future. The foods you eat have great influence on your symptoms either positively, or negatively. What you must understand is a diet for pulsatile tinnitus is not a miracle cure or a cure at all. I believe the only way to rid yourself of it is to attack it from all sides, starting with the food you eat. A well balanced diet will help to lower your stress levels, and boost your immune system, both important aspects of treating any medical disorder. A good place to start for anyone would be to create a food log. Once you begin to log your food intake, and the symptoms you experience afterward, you will begin to see patterns you can follow to reduce the noise you hear. It’s been said to you all your life that the best diet is a well balanced one. Well, the best diet for pulsatile tinnitus is not any different. Whether you suffer from tinnitus or not, if you want your body to work properly, you must fuel it properly. This includes trying your best to avoid junk foods, and empty calories, and increasing your intake of foods rich in vitamins, minerals, and protein. There are certain nutrient deficiencies that are known to cause auditory nerve damage which may lead to tinnitus. Therefore, Vitamin A is an excellent place to start in a diet for pulsatile tinnitus. Some Vitamin A rich foods include fresh green and yellow vegetables, liver, milk, and butter. An iron deficiency can also worsen your tinnitus. Make sure you are eating plenty of chicken, red, meat, turkey, or oysters to remedy this. If you find the ringing you hear in your ears changes pitch and volume a lot, then you may find that the tinnitus remedy for you is actually in your diet; just a few simple changes may put an end to the misery the ringing noises could be causing you. As simple as it sounds, this actually applies to quite a lot of people. Typically, diet and general health are not considered the cause of tinnitus until other more common causes have been ruled out such as ear infections, nerve damage or sinus problems. However, your diet can play a role in contributing to the above causes, such as a problem with too much wax in your ears – dairy products, especially milk, can cause a build up and is common amongst children nowadays. This is because of the way the body deals with breaking down milk for digestion. It also causes excess mucus to be produced in the body although many people don’t feel side effects from this. Salt can have an immediate effect on tinnitus and will almost always make it worse. It can cause increased blood pressure and reduces blood flow to the eyes, brain and ears. A lot of people have way too much salt in their diet and it has been proven that when sale intake is lowered amongst tinnitus sufferers that most of them found the ringing sounds reduced. Typically, those with too much sale in their diets eat a lot of pre-packaged or processed food. Finally, flavour enhances, that are added to food to make them taste better, are a leading cause of tinnitus related to dietary intake. The most common that is used is MSG and is found amongst a lot of processed foods; you have to wonder why it is added to make it taste better when the food should taste nice anyway! MSG is also commonly used by restaurants that serve Chinese take away food. Unfortunately, due to loopholes in the law which state that MSG must be put on the food label, there are ways around this and you might not realise just how much you are consuming. To summarize: Dairy, salt, and food additives can all lead to allergic reactions and although they will not directly lead you to having a constant ringing in your ears, they can lend a hand into the build up of the condition. It is worth considering a food allergy test if you suffer from Tinnitus but the cause has not been found.